Malaysia should put in more effort to disseminate information on the local property market overseas to attract investments in high-end projects in the country. Malaysia Property Inc chief executive officer, Kumar Tharmalingam, said if foreign buying were to increase by three per cent, it would contribute up to RM20 billion in sales to the country's property market. "We have all the system in place. All we need is publicity on what real estate is about in the country," he told reporters after the launch of Asia-Pacific Real Estate Association's (APREA) Malaysia Chapter today. Last year, total property transactions in the country amounted to RM107.44 billion, of which overseas investors made up 11 per cent. He said the lack of information was because not many international property research houses were set up in the country due to legal hindrance. "The more international property research houses we have, the more exposed the market will be and the higher the chances they (foreign buyers) will come here," he said. Kumar said despite more foreign investors buying local properties, the country was not expected to face housing shortage as the current infrastructure could host 50 million people compared to the country's population of about 28 million. "Foreigners buy high-end projects which cost over RM1 million each and this does not affect the middle- and low-income buyers," he said. The Malaysia Chapter was set up as part of APREA's strategy to operate on a decentralised basis with local identities in all key markets in the region. It will disseminate information on the opportunities in Malaysia to the international investors and provide the local community with an expanded network. PETALING JAYA: Real property gains tax (RPGT) would probably increase after Budget 2012 but experts are divided over the quantum or the new form the tax on property sales would take. Few are hoping for the rate to be maintained but others felt the RPGT would increase by another 5%. The current RPGT, imposed after Budget 2010, is 5% for all properties sold within the first five years of purchase. Previously, from April 2007 until it was reintroduced in January 2010, all gains from property transactions have been exempted from the tax. If the Government decides to reintroduce the RPGT in its entirety, property speculators will feel the heat as gains from property sales within the first five years of purchase will be subject to a tax ranging from 5% to 30%. HwangDBS Investment Management Bhd head of equities Gan Eng Peng was quite pessimistic, and said he was expecting the Government to announce an increase in RPGT from the current 5% to 30% during Budget 2012. “From a macro-economic perspective, the rise in RPGT is primarily to normalise the level of property prices and to avoid any bubbles from popping. Land and property prices in hotspots such as the Klang Valley, Penang and Johor have been on the rise over the last two years, ranging from 30% to more than 50% depending on location and type of property. Also, we can see a correction in property stocks in the last two months. These have signalled the peak of the local property cycle. As such, increasing the RPGT to bring the sector to a soft descent is a good move,” said Gan via email. Gan said Malaysia would not be the only country in this region to end the property boom. However, property analysts and tax specialists were less pessimistic, with some expecting an increase in RPGT to 10% at the most, and others predicting the RPGT to be maintained at 5%. A local tax consultant said while an increase in RPGT was likely, it would not reach pre-April 2007 levels. “Any increase should be minimal, perhaps by another 5%. This would help to curb property speculation and, at the same time, not hit the sector too hard,” he said. 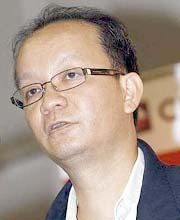 However, KPMG Tax Services Sdn Bhd executive director Tai Lai Kok opined that the current 5% RPGT would be maintained. CB Richard Ellis (M) Sdn Bhd executive director Paul Khong agreed and said any increase in the RPGT would affect the confidence of investors, especially foreign property buyers. Khong said those who had bought properties when no RPGT was imposed might quickly exit the market. “Investors, especially foreign property buyers, have other options in obtaining the best returns for their investments. They can always go to Hong Kong, Singapore, Australia and London,” he said. Khong also pointed out that real estate in Malaysia was among the cheapest in the region. He felt the Government should not change RPGT regulations too often, and should allow the property market to find its own equilibrium. Foo feels that the current 5% RPGT should be maintained. Property consultancy CH Williams Talhar & Wong Sdn Bhd managing director Foo Gee Jen felt that the current 5% RPGT should be maintained as the property market was entering a self-correction phase. “The sentiment in the property market is weakened compared with the scenario two years ago. Any increase in the RPGT would be counter-productive as speculation has been dampened by the maximum loan-to-value (LTV) ratio of 70% for the third and subsequent house financing facilities,” said Foo. Foo felt that rather than increasing the RPGT, a better measure to further curb property speculation might be to impose a maximum LTV ratio of 80% for the second housing loan. Meanwhile, property consultancy DTZ Nawawi Tie Leung Sdn Bhd executive director Brian Koh said the government would need to balance between trying to curb a potential property bubble and ensuring a healthy growth in the property market. Bernama reported Tuesday that the Real Estate & Housing Developers' Association Malaysia (REHDA) hopes the government will not implement any major systematical change for the property sector in the 2012 Budget. While applauding the current system, its president, Datuk Seri Micheal K.C.Yam said frequent changes in the taxation and property buying segment would disrupt the immense investment in property by both locals and foreigners. He said a change, would deepen the negative perception of Malaysian legislation by foreigners, and even locals, that things are always changing. "If the system keeps changing for every budget, then the confidence level for a person to invest in local properties will also be very low. "Sustainability and standardisation of property taxes, as well as a market friendly environment, is very important for Malaysia to compete on the international arena," Yam said after the opening of the "Green Solutions for Property Development 2011" forum here today. It was officiated by Housing and Local Government Minister, Datuk Wira Chor Chee Hueng. He added that the result of an inconsistent system has resulted in only four per cent of households in Malaysia being owned by foreigners. He said the current system was good in ensuring the competency of the local property market among neighbouring countries. "However, the property segment players must be given time to adjust to a certain legislation system. "Usually, when the players are ready to adopt a new system, it is then being enhanced or upgraded, thus, making it difficult for the property developers to put it into practice," he added. Meanwhile, Yam said REHDA hopes the government will review the low cost housing scheme requirements and reconsider the release of unsold Bumiputera-property units, due to less demand from the respective quarter. "This will enable the Malaysian property segment to be a more market and demand-driven," he said. PETALING JAYA: SP Setia Bhd, which is facing a takeover offer from Permodalan Nasional Bhd (PNB), has proposed to acquire land for RM381.2mil to replicate its successful township development in Setia Alam and Setia Eco Park. The new land in Rinching, which is 673.3 acres and situated mid-way between Semenyih and Bangi old town, is forecast to have a gross development value (GDV) of RM4bil. SP Setia had earlier bought 1,010 acres in Beranang for RM330mil on Aug 12. The group is planning an up-scaled product mix at the Rinching land aimed at upgraders who are investing in the Semenyih-Kajang corridor. SP Setia said the up-market project planned at the Rinching land would complement the mass market products to be offered in Beranang. The Rinching project is close to the Beranang land which is forecast to have a GDV of RM3.5bil. The development would also enable the group to reap economies of scale on infrastructure spending and optimise amenities enhancement. “Rinching's close proximity to Beranang offers the group a fantastic opportunity to repeat the success with Setia Alam and Setia Eco Park in an untapped corridor,” said SP Setia president and chief executive officer Tan Sri Liew Kee Sin in a statement yesterday. “The value which the group has created in the western Klang Valley corridor through our well-executed master planning and upfront investment in key infrastructure as well as amenities has benefited not just us but other surrounding developments. “As a result, the landbank in Setia Alam and Setia Eco Park have become very valuable and we are now in a position to launch upmarket products in both projects,” Liew said. He said the group's branding was much stronger and it could muster strong support from house buyers to transform the location into a thriving township. “We have been scouting very hard over the last year to identify suitable land bank in the Klang Valley where we can re-introduce the Setia Alam and Setia Eco Park winning formula but with the added benefit of the lessons learnt from our execution of numerous townships not just in the Klang Valley but also in Johor Baru and Penang,” he said. Liew said the group intended to launch the Rinching project first as it had already been converted from agricultural to building land. “Layout approval has been obtained by the vendor. However, the group will be submitting a revised layout to the relevant authorities to maximise the development potential of the land. “Subject to the necessary development approvals being obtained, the target launch for the Rinching project will be in the fourth quarter of 2012,” he said, adding that the company planned to launch the Beranang project in 2013. Analysts are positive about the acquisition but have voiced their concerns over the uncertainties surrounding PNB's takeover offer for SP Setia. “Who's helming the ship when the development occurs is a critical question. “What is the point of this land when you don't have the right person to maximise the value,” said an analyst. She said there was still uncertainty over how PNB would impact operations if it succeeded in its takeover bid. PNB has launched a bid to raise its stake in SP Setia to above 50% from 33%.“The acquisition comes unfortunately at a bad time. “However, the proposed acquisition would present a fantastic opportunity for the current management to ask for a better offer,” she said. On the planned developments, she said the land was in a strategic location with direct access to the Seremban-Kajang Highway. The land is also about 15 minutes from the proposed Bandar Kajang My Rapid Transit station along the Sungai Buloh-Kajang Line. SP Setia also said it had appointed AmInvestment Bank Bhd as the independent adviser for the PNB takeover offer. Bernama reported Tuesday that analysts are positive over SP Setia's 272.5 hectare (673.3 acre) second land acquisition in Kajang-Semenyih. OSK Research which was slightly surprised by the acquisition said it was in line with the view that property developers would eventually have to move further out of the Klang Valley to acquire a sizeable landbank for township development. "SP Setia's plan to develop the site into an upscale mixed residential township with a Gross Development Value (GDV) of RM4 billion and its close proximity to the previous acquisition of land in Beranang, will enable the company to reap economies of scale on infrastructure spending while optimising amenities enhancement," it said in a research note today. Echoing the same view, ECMLibra Investment research said the acquisition would increase the company's remaining GDV to RM57 billion (previously RM53 billion), of which its effective share was RM47.4 billion. "This will keep the company busy for more than 10 years and due to the proximity of the two parcels of land, SP Setia will also be able to reap cost synergies," it added. ECMLibra Investment's view was further underpinned by an expectation of a cyclical slowdown in the property sector amid deteriorating macroeconomic conditions. KUALA LUMPUR: Analysts are positive over SP Setia's 272.5 hectare (673.3 acre) second land acquisition in Kajang-Semenyih. KLCC Property Holdings Bhd, co-owner of the 88-story Petronas Twin Towers in Kuala Lumpur, is refinancing its Islamic bonds after market yields dropped to the lowest level in more than two years. The company will sell RM880 million (US$274 million) of 10-year securities to repay RM799 million of Syariah-compliant debt held by parent Petroliam Nasional Bhd, according to a Sept. 26 stock exchange filing. KLCC will pay a RM35.3 million penalty to redeem the securities, which were due to mature in November this year and next, the statement said. The developer didn’t disclose who will buy the bonds. Average yields on Malaysia’s highest-rated corporate notes fell to 4.82 percent on Sept. 21, the lowest level since February 2009, according to an index compiled by Bank Negara Malaysia. Builder Encorp Bhd is also seeking to refinance some of its RM1.6 billion of sukuk, Cheong Hong Kit, the company’s finance manager, said in an interview in Kuala Lumpur. “Borrowers are taking advantage of the low-yield environment and strong demand for paper,” said Edward Iskandar Toh, a bond manager at Areca Capital Sdn Bhd, which oversees RM500 million of assets in Kuala Lumpur. “Credit risk remains a concern in a difficult environment, hence rising demand for high-grade bonds,” especially sukuk, he said. Yields on longer-maturity Syariah-compliant bonds, which pay returns on assets to comply with Islam’s ban on interest, may drop further as Europe’s debt crisis deters investors from that region’s assets and as the U.S. pumps funds into the world’s biggest economy, Toh said. KUALA LUMPUR: Shares of UOA Development Bhd continued to slide, losing 54% since its initial public offering (IPO) at RM2.60 in June, despite bucking a flattish property market sentiment and achieving strong earnings. This has baffled both analysts and investors. The company ended on Monday at RM1.19, effectively wiping off RM1.68bil from its market capitalisation of RM3.1bil at the time of its IPO. For its first half ended June 30, the company recorded a net profit of RM189.83mil on revenue of RM319.06mil. CIMB Research recently said in a report that at 93% of its forecast and 94% of consensus projections, UOA Development's annualised first-half core net profit met expectations, given that future quarters should be stronger as recognition of the strong year-to-date sales picked up pace. “However, in view of the stock market turbulence of late and global slowdown fears, we now value UOA Development at a 20% discount to market price to earnings ratio, instead of 10%, given the higher risks inherent in its large exposure to high-rise residential and commercial developments,” it said. The local bank-backed research house also lowered the company's target price to RM2.89 from its initiating coverage price of RM3.25 previously. The Bursa Malaysia Property Index has also seen a similar decline, retreating some 20.7% to 857.92 points from 1,082.57. However, analysts noted that the drop in its share price had not been in tandem with the group's performance. “The million-dollar question is why has it been sold down? Investors might not be in favour of the group's big exposure to high-rise residential and commercial developments. “If investors believe that the uncertainties in the United States and Europe are just a blip, this is a good time to buy. However, if things are prolonged, the first ones to be hit would be (developers of) high-rise residential and commercial buildings,” said an analyst with a local bank. Recently, different research houses had started to downgrade the property market, with the most recent being RHB Research, which said positive catalysts for the sector are scarce. It expects the property market to continue underperforming the broader market, with the weakening ringgit signalling more foreign equity selling and a lower expected return from properties, coupled with less bullish sales target next year as the research house sees further downside risk to gross domestic product growth. CIMB Research said UOA Development's poor share price performance since its listing gave investors a chance to accumulate the stock on the cheap, adding that investors' realisation of the strong core earnings growth in 2011 to 2013 could spark a re-rating, along with robust sales or more landbanking. “What sets UOA Development apart from its rivals is its wide gross margin of around 50%, which puts it well ahead of many sizeable established developers and will help this highly profitable developer to nearly triple its core net profit in fiscal year 2012,” it said. It has cut the company's 2011 to 2013 dividend per share forecast by 25% to 39% (7 sen to 11 sen) as UOA Development was targeting a payout ratio of 30% to 40%, compared with CIMB Research's earlier estimates of 30% to 50%. PETALING JAYA: Wijaya Baru Global Bhd has entered into two agreements to buy 80,000ha in Indonesia for RM255.2mil to replenish its timber extraction business. The agreements were with Suffolk Pte Ltd and Wealthgate Pte Ltd for US$40mil cash each in total. Wijaya Baru said its last timber licence expired on July 9, 2010, and the acquisition was done in view of the loss of revenue from the timber division and the intention to maintain its core business of timber extraction. “The proposed acquisition will provide an immediate and stable income stream for its core business and, at the same, time allow the group to expand its business regionally,” it said in a filing with Bursa Malaysia. Wijaya Baru said the land, which was in the process of receiving its approvals of conversion into oil palm estates from Indonesian authorities, could in the future become another income stream for the group should it proceed with planting oil palm crop. It also has the option of selling the land should it decide against venturing into plantations. Suffolk and Wealthgate had both on Aug 24 signed and executed a joint-venture agreement with PT Trimegah Karya Utama and PT Manunggal Sukses Mandiri respectively, whereby both companies as joint venturers have been granted the exclusive rights to undertake the extraction and sale of timber from land located in Jair, Indonesia.